Today the two major freighter cruises, Aranui 5 and RMS St. Helena, offer cruise ship-like amenities such as upgraded cabins, a swimming pool, bar and restaurant, plus onboard activities and guided or independent shore excursions. But sailing on even the most comfortable freighter is a far cry from the modern cruising experience most people are familiar with, with few of the bells and whistles passengers have come to expect. 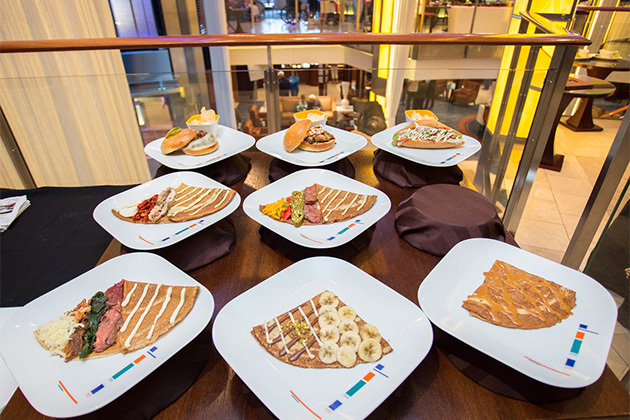 There are no nightly shows or children's programming, for example, and dining options are limited so veteran cruisers should adjust their expectations accordingly. 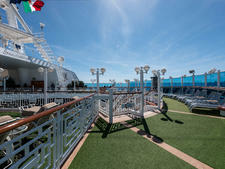 The majority of freighter cruise lines operate year-round, so you can sail almost any time you please. Exactly when you travel depends on your budget (obviously fares are pricier during the destination's tourist season), weather preferences and tolerance for crowds. For example, the weather in French Polynesia, where Aranui 5 sails, is least humid in July and August, but prices are also higher and available cabins are fewer since there's a large local festival in July, and August is when most French take their summer vacation. Most potential freight cruisers are interested in combi-liners -- ships that combine cruise ship comforts (air-conditioned cabins, Wi-Fi and onboard fitness rooms) with cargo-carrying facilities. 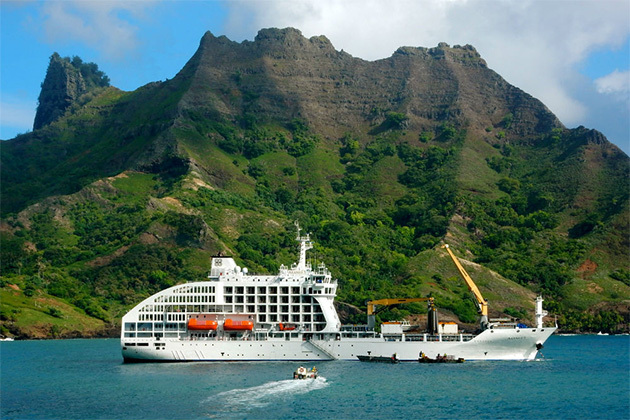 There are two major combi-liner companies: Tahiti-based Aranui Adventure Cruises operates the Aranui 5, which sails through the archipelagos of French Polynesia. And from Cape Town, South Africa, RMS St. Helena delivers mail and supplies to the South Atlantic islands of St. Helena and Ascension. 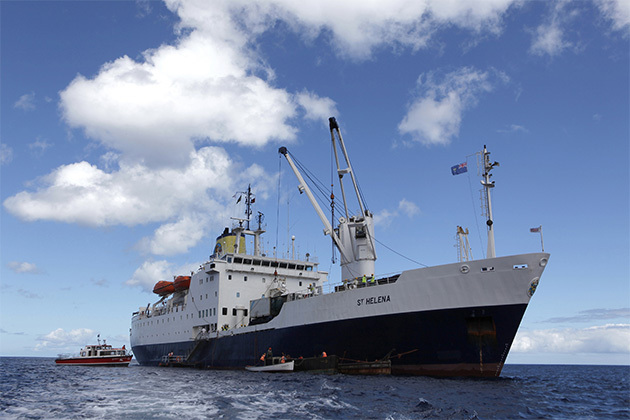 There are similar freight cruise lines operating along the coast of India, in Indonesia and along the Chinese coast, but maritime historian Peter Knego warns that they are a "far cry" from what cruisers will find on Aranui 5 and RMS St. Helena in terms of amenities, food and service. Such freighters, he said, are suitable only for the most adventurous and low-maintenance travelers. Freight cruises that carry a dozen or fewer passengers per ship (with only basic facilities and without an onboard doctor) include CMA CGM, which sails to the Far East, Europe, Asia and North and South America; PZM Polish Steamship Company, sailing seasonally between Minnesota and Amsterdam; and Hamburg Sud, which operates itineraries all over the world. Freighter ships and combi-liners operate itineraries all over the world and of varying lengths. Up to 14 Nights: The shortest freighter cruises typically run between 10 and 14 days. These include transatlantic crossings, Aranui 5's French Polynesian run and RMS St. Helena's sailings from Cape Town to the Atlantic islands of St. Helena and Ascension. 15 Nights to Several Months: Cargo lines such as CMA-CGM and Hamburg Sud offer extended sailings as long as 100 days, with itineraries that include the Far East, South America, Asia and North and South America. Transatlantic: Freighters that carry 12 or fewer passengers, such as Rickmers-Linie's Spirit of Lisbon; CMA-CGM's Fort St. Georges, St. Louis, and St. Pierre; and Hamburg Sud ships make Atlantic crossings year-round. 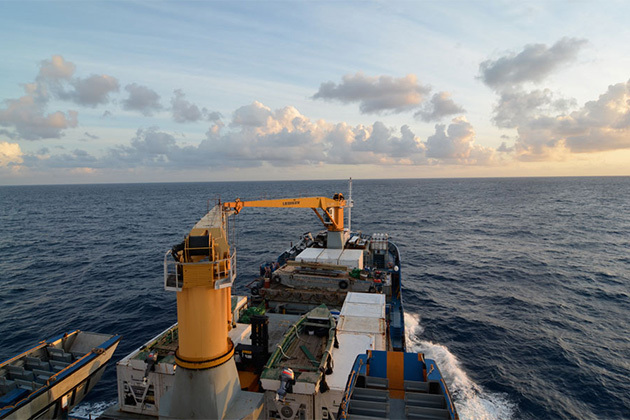 Regional: The two regions that are served most regularly by freighter cruises are French Polynesia, served by Aranui 5, and the South Atlantic, served by RMS St. Helena. Around the World: Container ships ply every ocean, and passengers can book inter-continental passage on both east- and west-bound cruises. CMA-CGM sails an around-the-world itinerary of approximately 77 days from Houston, Texas, through the Suez and Panama Canals. Rickmers' ships sail eastbound only from China, but an agent might be able to combine a sailing with a CMA-CGM voyage from the U.S. east coast or Mediterranean to make a longer round-the-world trip. Use a travel agent. Language barriers and time differences can make booking a freighter cruise directly with the operator a challenge. There are, however, a handful of agents and agencies who specialize in selling freighter cruises, including Maris Freighter and Specialty Cruises, The Cruise People, Fred Cherney of Circle Line Tours and John Lang at Expedia Cruise Ship Centers. Get a clean bill of health. Ships with fewer than a dozen passengers do not have a doctor and even larger passenger freighters have only basic medical facilities, so freighter cruises are recommended only for people who are in good health and fully mobile without need of a wheelchair or cane. Get insured. The unpredictable nature of freighter cruising and the lack of sophisticated onboard medical facilities make buying travel insurance nonnegotiable. Experts also recommend buying deviation insurance, which specifically covers instances when the ship makes unplanned stops or departs from the scheduled itinerary. Pack smart. The onboard atmosphere is decidedly casual, so bring comfortable clothes, and a lot less of them than you would for a regular cruise of the same length. Essentials include a backpack or cross-body bag so you can have both hands-free for disembarking, water shoes for wet landings, laundry detergent or fabric refresher spray, a refillable water bottle, raincoat and non-perishable snacks. Voltage aboard most freighters is 220 AC with round-prong European outlets, so an electricity adaptor might be necessary. 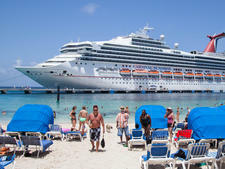 Smokers should bring their preferred brand, and depending on the destination, tote ample sunscreen and bug repellant, which can be pricy in port. You might also want to bring a pair of slippers to wear in your cabin, leaving soiled outdoor footwear in the hallway. Don't bring the kids. While lines such as Aranui Adventure Cruises accept children as young as 1, there's very little for children to do, and some of the physical aspects of a freighter can be dangerous -- like open metal staircases on the ship's exterior. If your children are older and more self-sufficient, ships such as RMS St. Helena or Aranui 5 are good options, but bear in mind that neither have official kid's programs or babysitting services. Be flexible. Cargo, not passengers, is the priority, and the vessel's itinerary and times in port are subject to change based on workload. 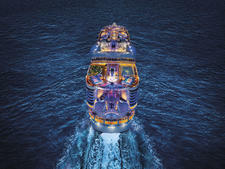 On smaller ships you'll be eating with the crew so be prepared for unfamiliar food and/or limited options at meal times. Entertain yourself. On most ships Wi-Fi is nonexistent or painfully slow and expensive, so bring your own low-tech diversions. An e-reader, music and puzzle books can be lifesavers on sea days. Don't forget to tip. Unlike cruise ships, which include a gratuity in the fare, freighter cruises are often priced and paid for in euros and exclude tips. 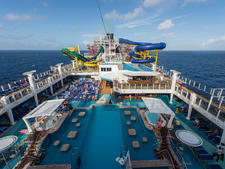 Freighter cruise travel agents suggest U.S. $4 a day for your cabin steward. Tips for any other staff are at your discretion.